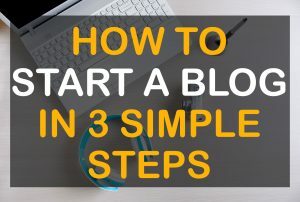 We are going to see step by step guide on Facebook ads marketing for business. If you already have experience in Facebook advertising then skip the basics and move to facebook ads tips and strategies. Another two of my friends agreed his point. I explained them that they are partially wrong. Partially? Does that mean Facebook do not have ads? Yes sort of. See, many people think that Facebook don’t have ads. It’s only because of their unique advertising platform. Facebook ads don’t look like typical advertisements (banners or popup ads), they are more like normal statuses, photos or videos with small “Sponsored” tag thus people think Facebook is ads-free. That is why i said my friends that they are partially wrong. Facebook is the largest social network in the world and making billions of dollars (27 billion dollar in 2016) only from advertising. So you might come to know that huge number of businesses are making use of Facebook advertisements. But the success rate is drastically low when comparing to Google search advertisements. It is because of two reasons. Google search adverts connects businesses and consumers in need directly. But Facebook rely only on user interests. They study users interests and shows them relevant products / services. Not utilizing Facebook adverts properly using the targeting options and ad metrics available. First reason is acceptable since Facebook ads are very cheap when comparing to Google search ads. Second reason is because many people are not using Facebook advertising properly, they do not utilize the variety of objectives and targeting options available for their type of business. This guide will tackle all the options available in Facebook to lead a Fruitful Business. Please remember that word of mouth and user retention are the best ever marketing tools that will help you make an unbeatable business. At the end of the day, it’s your product or service that is going to speak so build a quality product, listen to user’s feedback along with solid Marketing strategies. That is when you can achieve long term success. Let’s move on to Facebook marketing strategies. How to promote your business using Facebook advertisements? There are various types of Facebook Ads Marketing Objectives available. You should choose which one is best for your business. 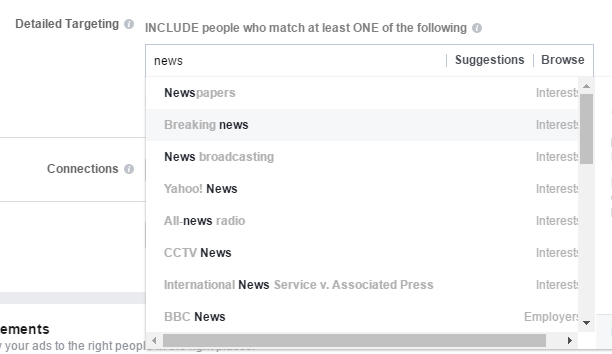 Facebook easily helps us in choosing an objective using their categories. As you can see in the snapshot placed above, there are many ad objectives like brand awareness, app installs, conversions etc. I don’t want to confuse you by explaining all these things. We will only see important objectives with simple classification. You should select people engagement which involves post engagement as well as page likes. As you can see the snapshot placed below, you should select either post engagement or page likes. Let us see which one works best. Reactions (formerly known as likes), comments, shares on individual posts like photos, status, videos. What is Page likes then? If someone likes your page it means they are following your page so any future updates of your page will be shown to them in their news feed. Why are we choosing Facebook page likes ad instead of direct visits to website? You might be wondering what is the use of making people like my page or encouraging them to react to my Facebook posts. See, you have informative website so you should have daily traffic and that is when you can earn from your website. Generally cost per visit is much higher than cost per page like on Facebook ads. Also think this way, you drive people to your website. Is there any assurance that they will visit your website again? No not at all even if you have email subscription. There is no guarantee in this case. But when we choose page likes, you have chances to gain future visits from the people who have liked. This is also not guaranteed if you do not post user-engaging content in your page due to strict news feed algorithm. We will see about news feed algorithm later. As far as now it is better to understand that Facebook page likes ad matters the most when you have an informative website. Page likes ad is fine but why should we choose post engagement ad when it do not give assurance for future visits? Post engagement is important because of two reasons. Post engagement is much cheaper than page likes. Another important reason that most people do not consider is encouraging organic reach along with paid reach. What is organic and paid reach? You pay to reach people that is known as paid reach. Post reach to people who have already liked your page is called Organic reach. If you like one post, there are chances for your friends to see the same post by displaying “Laxman has liked this post”. This also comes under organic reach. 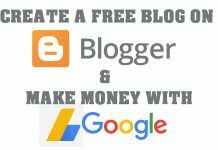 Paid post reach encourages organic reach if your post is interesting and well targeted thus resulting in dirt cheap cost per post engagement. 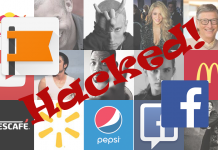 Whatever, what is the use of people engagement in my Facebook posts? They liked one of my page’s posts they didn’t like my page right? How come it is useful? you can see the page like button in the above screenshot. So Facebook provides page like button along with post engagement options. That is how people may like your page in the post engagement advertisements. Post engagements or Page likes? If your post is very interesting then you should select post engagement otherwise use page likes. Use both ads in appropriate situations to attain maximum results. You should choose both post engagement and traffic to your website ads if your business is all about products or services. But I highly recommend to use traffic & conversion ads since page likes don’t help much for this objective. This will drive targeted people to your product / service page. This is almost equivalent to traffic to website but additionally Facebook can track the conversions like who has paid for your product or service thus serving your ads to better people who are more likely to make a purchase. You should select brand awareness in the marketing objectives list. This will ensure that your advert reaches maximum number of people. So you might have an idea about various objectives. Let’s move on to the second step. We should fill up target locations, age, gender and languages for our ad set as you can see in the snapshot placed below. Locations : Be more specific while entering target locations. Don’t select unnecessary locations. Age : Age is an important factor. Select the minimum and maximum age of your target audience. Again be more specific. Gender : Generally you should select All. Of course there are some exceptions if your product / service is gender specific. Languages : This is optional. I generally don’t set this targeting option since not all people fill up their languages on Facebook. 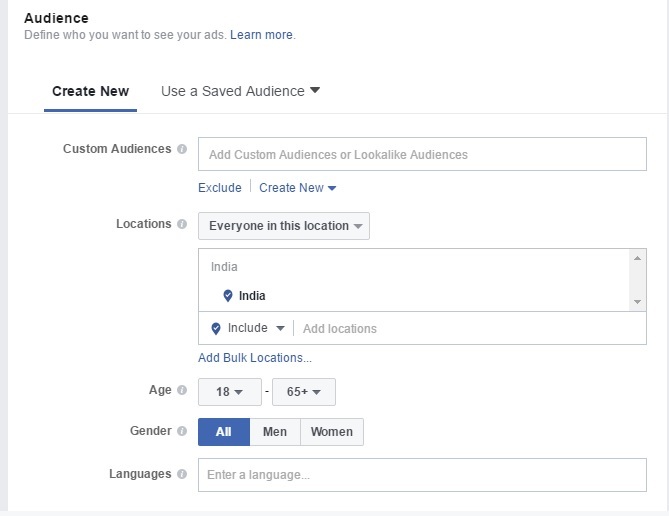 Detailed Targeting : This is the most important targeting option and this is where most people make mistake. So take extra care before choosing the audience detailed targeting. You should select targeting options related to your product/service. select an option from the list. You can have multiple targeting options. Budget & Schedule : You should either choose daily or lifetime budget. 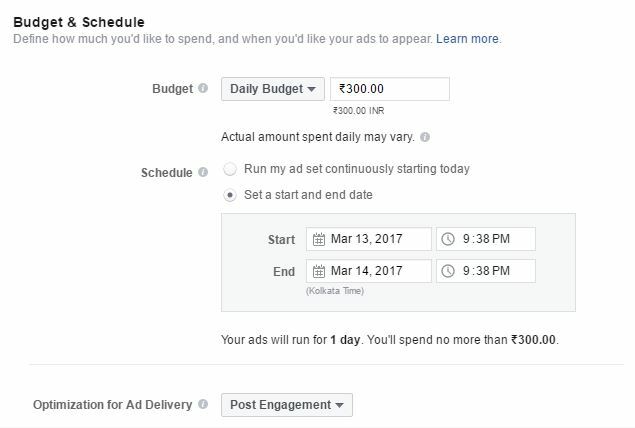 Select your ad to run for one day period with a budget of $5 USD (or equivalent to your local currency). We can increase the budget and schedule as soon as we see good results. Don’t spend too much before seeing good results. Leave the rest in the audience section as it is and click Continue. Select your Facebook page in the next step. Upload images if in case of link ads. You should either select an Facebook post from the recent posts dropdown or enter post id as shown in this screenshot. 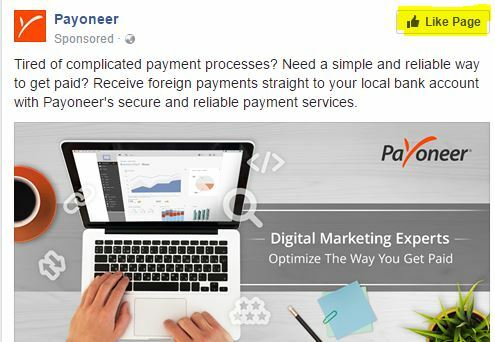 Make sure your ad thumbnail do not have much text as per Facebook ad guidelines. Click on place order to complete. Ad approval process may take few minutes. Your ad should start showing with in a day once it is approved. Choose objective wisely as i have explained in the objective section. If you have media website or blog or any website that is dependent on traffic and ad revenue then you shouldn’t select Traffic Objective. Instead you should make use of People engagement. Be specific in detailed targeting options. Select only appropriate topics. Select topics based on audience interest that need not be directly related to your product / service. For example, if you have love gifts ecommerce products, Selecting love quotes, stories, love tips is useful instead of choosing competitive love gifts topic because people who have expressed interest in love quotes or stories have chances to buy your product thus resulting in cost effective ads. Remove Instagram placements when you select traffic objective. Instagram ads are very cost effective if your motto is to reach your brand name. Add / Remove placements depending upon ad performance. You should monitor each and every ad campaign to make sure what works and what not for your business. Make use of Audience Behaviour in detail targeting – Detail Targeting -> Browse -> Behaviour. Example : If you are promoting a premium Facebook app, you should select Behaviour -> Digital Activity -> FB Payments. This will include all those who has made any payments to Facebook in the last 90 days. Make use of Audience Connections. Example : If you have a page with larger audience, then you should always exclude people who have already liked your page. Add a connection type -> Facebook Pages -> Exclude People who liked your page and then enter your page name. Custom audience / Lookalike audience are very useful when you have your customer data especially if you are promoting a product or service. Never select Accelerated delivery in Delivery type unless there is really a need. Because accelerated delivery are very expensive and poor in performance while comparing to standard delivery. You should select accelerated delivery only when you want to reach people with in a specific time frame. For example, events / shows deadlines can be promoted through accelerated delivery since you need to reach the people with in the deadline. Relevance Score is the most important metric to judge performance of an ad. A rating from 1 to 10 that estimates how well your target audience is responding to your ad. This score is shown after your ad receives more than 500 impressions. It’s only visible when looking at reporting for ads and does not appear for ad sets and campaigns. The higher the number the better your ad is performing. If your ad has 10 relevance score, it means you are making the most out of your ad campaign and it is cost effective while comparing to similar ad sets. Monitor important metrics like Cost per page like, Cost per post engagement, Cost per 1000 people reach, Positive & Negative feedback, Cost per view in case of videos, Cost per link link, Cost per conversion to measure the performance of advertisements. Pause all ad campaigns that are not performing well. Use our Facebook online video downloader to download Facebook HD videos easily. 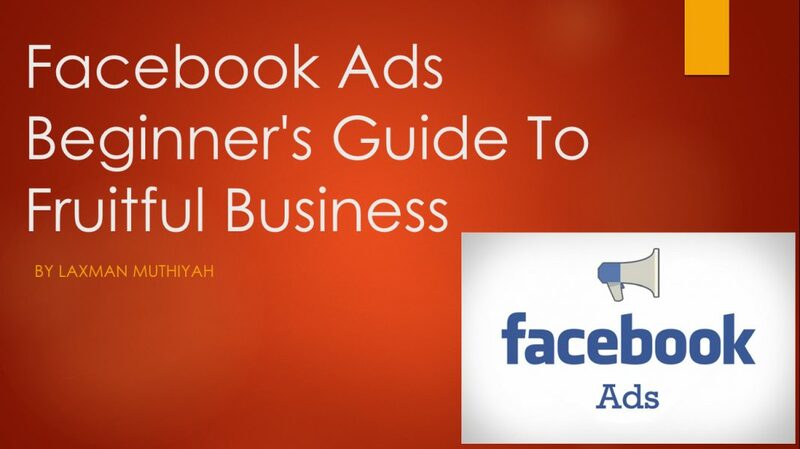 Are you using any super-duper ad strategies to boost your business through Facebook? Feel free to let me know using comments. I’m Laxman Muthiyah, Chief Technical Officer at NETMYSOFT. This is the place where I write about things that I have explored. I hope you enjoy your stay! 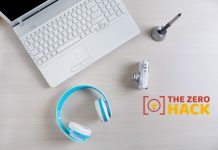 The Zero Hack is a technology blog authored by Laxman Muthiyah featuring articles related to making money online, digital marketing, internet security, tech tricks & gadgets.